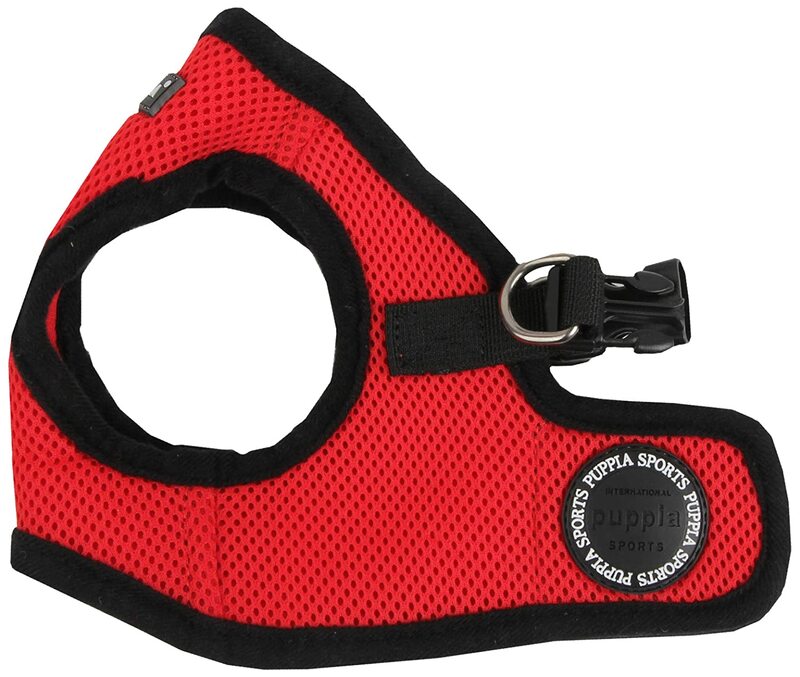 Puppia Soft Dog Harness Vest the Puppia Soft Dog Harness Vest uses mesh fabric and is very adjustable. Puppia Soft Dog Harness Vest the Puppia Soft Dog Harness Vest uses mesh fabric and is very adjustable. The Velcro and clip closure attaches at the chest leaving the neck risk-free. The harness vest is perfect for hard-to-fit dogs or dogs in between sizes, and comes complete with 2 D rings for safety. Features: Mesh fabric Velcro and clip closure 2 D rings for safety Item Specifications: Size: See sizing chart for how to measure and order the correct size. Materials: Polyester.